The mDesign Glass Apothecary Jar Collection is a stylish and durable set to hold all of your toiletries. 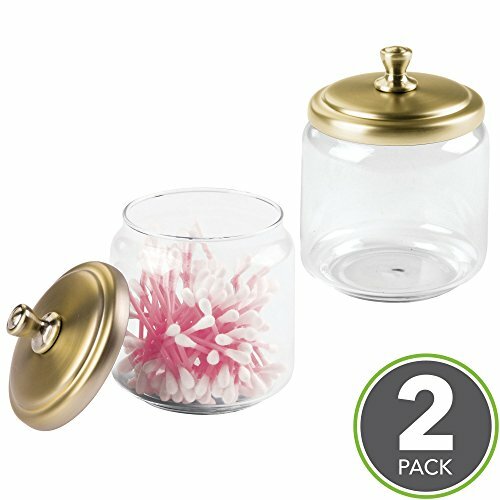 These apothecary jars work great for cotton balls, Q-Tips, cotton rounds, bath salts and more. Made from a clear glass and steel lid, these jars add style and clearly let you see your cosmetics or bath supplies at a glance so that you never run out.